Binge On in theory recognizes video streams and optimizes them to 480p—in theory detailed enough to enjoy on a mobile phone, yet small enough not to consume huge quantities of data. It works with services including Netflix, HBO, Hulu, Sling TV, Watch ESPN, Vevo, and all kinds of others. T-Mobile’s video “optimization” doesn’t actually alter or enhance the video stream for delivery to a mobile device over a mobile network in any way. This means T-Mobile’s “optimization” consists entirely of throttling the video stream’s throughput down to 1.5Mbps. If the video is more than 480p and the server sending the video doesn’t have a way to reduce or adapt the bitrate of the video as it’s being streamed, the result is stuttering and uneven streaming—exactly the opposite of the experience T-Mobile claims their “optimization” will have. 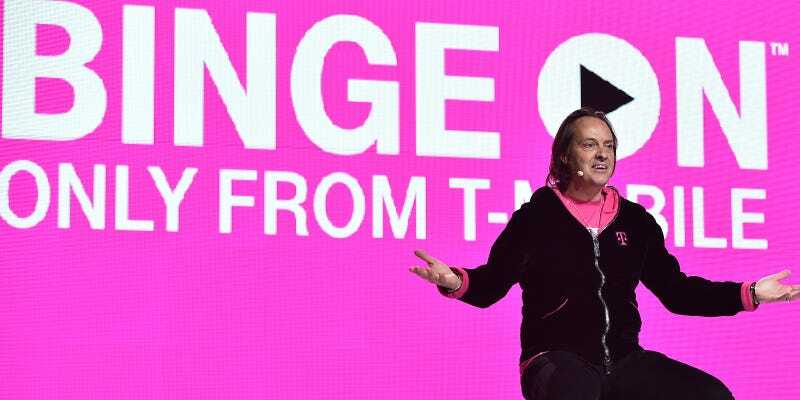 The EFF goes as far as claiming that the FCC should investigate T-Mo’s Binge On scheme. We’ll have to wait and see if that happens.